We deliver inside the State of Kuwait through PostaPlus. Should you choose to complete your payment through a credit/debit card, delivery fee will be 1 KD. If you specify a residential delivery address in your order, delivery will be between 05:00 PM and 09:00 PM (Kuwait Local Time). If you choose to receive your order at a commercial address, your will receive your order between 09:00 AM and 05:00 PM. If you choose to have your package delivered to your residence, delivery will be between 05:00 PM and 09:00 PM. After placing your order, you will receive a call from us to confirm proceeding with the order, and also to confirm that you will be available on the day next to the confirmation call. If you are not certain about your availability for receiving your order, you may authorize someone to be available at the address you specify during placing your order to receive it on your behalf and afford the order amount due. Your order will be dispatched only after your confirmation of the above mentioned conditions. Please note that COD orders may takeup to 10 business days untildelivery. We can deliver to most countries around the world that FedEx Worldwide Shipping delivers to in a brief time frame -depending on your location in relation to the State of Kuwait. International shipping cost is calculated based on the weight of the total items being shipped. The final shipping charges will be displayed at checkout, for you to review and approve before placing the order. Please note that in some countries customs charges apply to the shipment. In such a case, these charges will be fulfilled by recipient. Note: Days mentioned are working days, therefore excluding Saturdays and Sundays. Delivery time frames are an approximation depending on a smooth transition of your package through customs. We cannot predict or be responsible for your country’s customs procedures or delays. Note: If you order an item that is made of exotic skins, we will need to prepare a CITES certificate proving that your item adheres to the Convention on International Trade in Endangered Species of Wild Flora and Fauna. This certificate takes up to 10 business days to be issued, and it must accompany your shipment until it reaches destination. Consequently, your delivery time will be extended for longer time. All orders require a signature upon receipt and the courier will not deliver your package without a signature. Delays can also occur due to your unavailability to sign for your package or to pay for the required customs and taxes needed upon delivery. We cannot redirect any shipments once they leave our warehouses. So, please make sure that you, or someone authorized by you, are available at the address you specify in your order shipping details. All shipments are insured by Riva Fashion until they reach your delivery address, and you -or your representative- sign for their receipt, which automatically transfers all responsibility for the package to you or your representative. All purchases are charged as Delivery Duty Paid (DDP) therefore the final purchase price will include shipping fees. We cannot deliver to PO Boxes unless there is a customer representative available to sign for delivery on your behalf and pay for any duties and taxes. Providing us with a street address and telephone number is the recommended. WHAT IS OUR POLICY ON EXCHANGES AND RETURNS? You may return eligible items for a refund within 14 days of receiving your original order. You can verify if the product you received is exactly the same one you ordered online. You can do so by matching the product SKU/barcode number on the product tag with the invoice you received by email. Our return policy does not apply to items bought on sale or promotion. Accessories cannot be returned or exchanged. Items that are damaged due to wearing and/or uncareful trying are not considered faulty. Please note that the goods are your responsibility till they reach us. So, please make sure it’s packed up properly and does not get damaged on the way. Given the fact that in rare cases, some manufacturing defects can be detected, each and every item is well-inspected before shipping to our customers, and in the case of receiving it as a return as well, to guarantee a convenient service level to our customers. The original invoice must be included with the returned item/s. As we are flexible with accepting returns, we accept items returned without their original packages, provided that all the price and details tags on the product are attached and intact, and the product/s are well-packed, protected and accompanied by any accessories and/or bundle items that come with the product. Yet, some products must be in their original packages; such as shoes, and other products where their tags are affixed on the Return Policy box. Refund may take from 10 to 15 business days from the date we receive the returned item/s. Purchase delivery and return home-collect fee inside The State of Kuwait is 1 KD. All you have to do is prepare the package and the purchase receipt, and give them to the courier representative. For Cash On Delivery orders, we can only issue vouchers and not in cash since the shipping companies do not offer such service. Once the order is in hand we can issue the voucher (Minus the return fees). Should you exchange an item, an Exchange Form must be filled-in and submitted. Then, we will request the courier to collect the item/s at your door. Once the items are received at our warehouse, we will create a voucher for you of the value of the items we receive, after deducting the sum of 20$ (International and G.C.C countries), or 1.5 KWDs (Kuwait based) as return shipping fees. You may add items that are equivalent in total value to the value of the voucher. If you wish to add items that are higher in price, the due price discrepancy will be paid after you checkout. If the total value of your voucher exceeds 200$, shipping will be free. If it is less than 200$, shipping cost will be paid after checkout. Shipping costs would be added to price discrepancies – if any is due. To fill in the Exchange Form, please go to our Return Policy page, and then click the Return Form link found in the Steps to return a purchased product section. Please note that you should select the Exchange option for your case to proceed. The refund process may take up to 10 business days, after the returned product is received by us. The sum of 20$ will be deducted from your refund value as return shipping fees. 1- To start your return process, please go to and fill in the Return Form. Once we receive your form, we will contact you via e-mail to confirm your return request and guide you through the following procedures. 2- Pack your return securely, in the original package if possible, and include your completed invoice. 3- When your package is ready, the courier will collect the package at your door. Or let us hear from you at +965 22053263 or +965 22053266 between 9 AM and 09:00 PM (GMT+3) Saturday through Thursday. 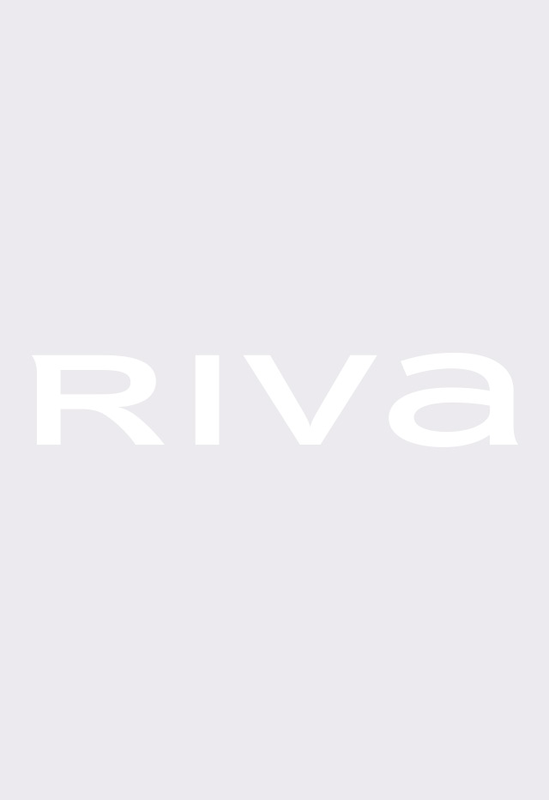 Subscribe to the RIVA newsletter to receive the latest news on new arrivals, special offers and discounts. Hi, Are you shopping from International store?